There were conflicting reports yesterday in Ankara of an alleged evacuation of Iran’s ambassador to Turkey, following credible reports of a suicide bomb attack, possibly by the Islamic State. Several Turkish media outlets reported on Monday afternoon that authorities in Ankara had communicated an urgent intelligence warning to the Iranian embassy there of a possible suicide bomb attack. According to the reports, members of the Sunni militant group Islamic State of Iraq and Syria (ISIS) were behind the planned attack. At 2 pm local time, reports stated that Iran’s ambassador to Turkey, Mohammad Ebrahim Taherian Fard, had been hurriedly evacuated from the Iranian embassy by Turkish security forces. By that time, all roads leading to the Iranian embassy, located next to the Ankara Hilton in one of the Turkish capital’s leafiest areas, had been cordoned off. Reporters from the Reuters news agency and Agence France Presse said that Turkish police and special forces had shut down Tahran Road, where the Iranian embassy is located, and were searching cars. Armed security forces had also surrounded the Iranian embassy, according to Reuters. Strangely, however, reports of a possible bomb attack and of the ambassador’s evacuation were strongly refuted by the Iranian government, which denounced them as “sheer lies” and “complete fabrications”. In a statement published online on Monday afternoon, Iran’s Ministry of Foreign Affairs said that its diplomats in Ankara had noticed “an increased Turkish security presence” around the Iranian embassy. However, they continued working normally, as they were unaware of the reasons for the heightened security. They assumed that Turkish President Recep Tayyip Erdoğan was appearing nearby, said the statement. A statement by the Iranian embassy in Ankara said that consular employees were present at the embassy and that all scheduled services were being offered without interruption. In the past month, the embassies of Iran in Paris and Athens have come under attack by Kurdish separatists and leftwing groups protesting against Tehran’s alleged oppression of ethnic minorities in the country. In the past, the Islamic Republic has been rarely targeted by ISIS, whose members dismiss Shiite Islam as a heresy. In June 2017, two attacks were carried out simultaneously in Tehran, targeting the Iranian parliament and the Mausoleum of Ruhollah Khomeini, founder of post-1979 Iran. In September of this year, ISIS claimed responsibility for an attack in Iran’s southwestern city of Ahvaz, which killed 25 soldiers and civilians during a military parade. A number of European intelligence agencies have reportedly warned the Turkish government of a possible assassination attempt against the country’s president, Recep Tayyip Erdoğan, during an official state visit to Bosnia and Herzegovina. On Sunday the Turkish leader embarked on a week-long visit to the Balkans, beginning with Bosnia, which along with Albania is seen as Turkey’s strongest political ally in Europe. During his visit to Bosnia, Mr. Erdoğan is scheduled to meet with Bakir Izetbegovic, one of the country’s three presidents. He is also scheduled to address a rally of expatriate Turks in the Bosnian capital Sarajevo, held in support of his ruling Justice and Development Party. On Saturday night, Turkey’s state-owned TRT broadcaster reported that the Turkish president’s delegation had been warned about a possible assassination attempt against him. 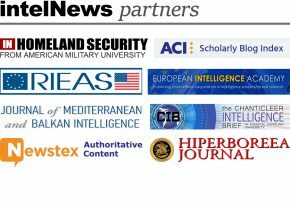 According to TRT, the information came initially from the intelligence services of the Republic of Macedonia, another state of the former Yugoslavia, which, like Bosnia, has a large Muslim population. 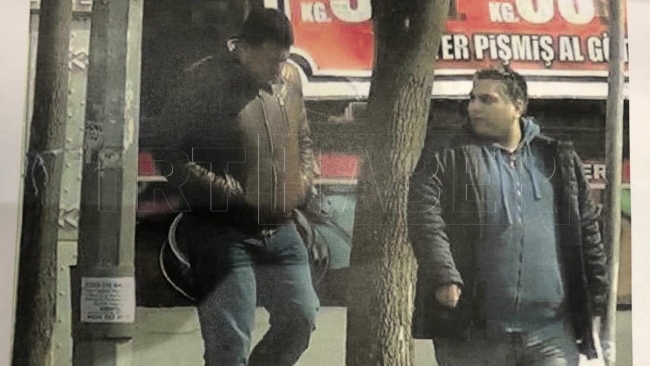 Turkish intelligence were reportedly warned that a group of militant opponents of Mr. Erdoğan living in the Balkans were planning to kill him, said the report. It was allegedly followed by similar warnings issued by unnamed “Western intelligence agencies”. TRT did not provide further details about the alleged plot, but said that an “in-depth investigation” was underway by Turkish intelligence. The Turkish president is facing one of the most direct challenges of his political career in less than two weeks, when Turks will go to the polls to elect a new parliament and —potentially— a new president. Some political commentators believe that, come June 2, Mr. Erdoğan may be removed from power after 15 years in the country’s leadership. But members of his government appeared unphased. One of them, Deputy Prime Minister Bakir Bozdag, tweeted on Saturday that warnings about Mr. Erdoğan’s life were “not new, and have always been there. Our President Recep Tayyip Erdogan is not a person who will be afraid of the threats and change his policy”, wrote Mr. Bozdag. And he continued: “Those, who have not understood that yet, are fools”.